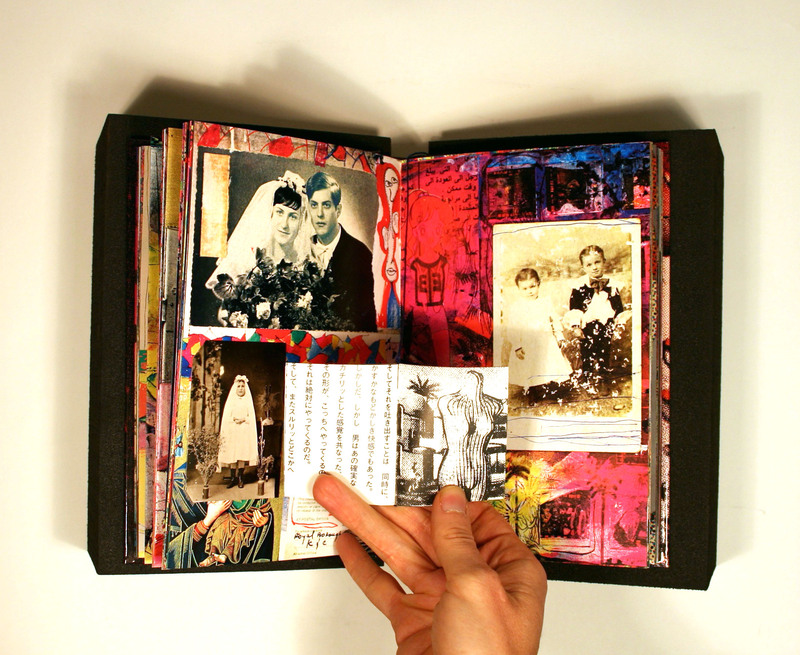 Book Arts Web is a treasure trove of resources, articles, tutorials and more. CBAA, or the College Book Art Association, is dedicated to book art scholarship in institutions around the country. Its mentorship program connects established book artists and educators with those just emerging in the field. The National Guild of Bookworkers formed in 1906 and maintains strong role in bookbinding education and outreach as well as preservation and conservation initiatives. JAB, Journal of Artists' Books, whose "mission is to engage with the field of artists' books by means of critical discourse and creative exploration of the intersections of book arts, artists' books, poetry, photography, experimental literature, printmaking, graphic design and other book-related creative endeavors." 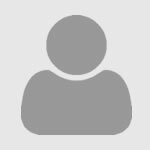 Issues dating back to 2003 may be accessed electronically here. The Rosalee McReynolds Collection held by Loyola University's Special Collection & Archives contains both artists' books and fine press books. An artist's book refers to a work of art that enlists the book form or aspects of a book's anatomy in its production, such as the use of multiple pages, handmade paper, folded paper, handsewn binding, and/or experimental typography. Not merely a vessel for information, an artist's book is intended to unify materiality and concept. 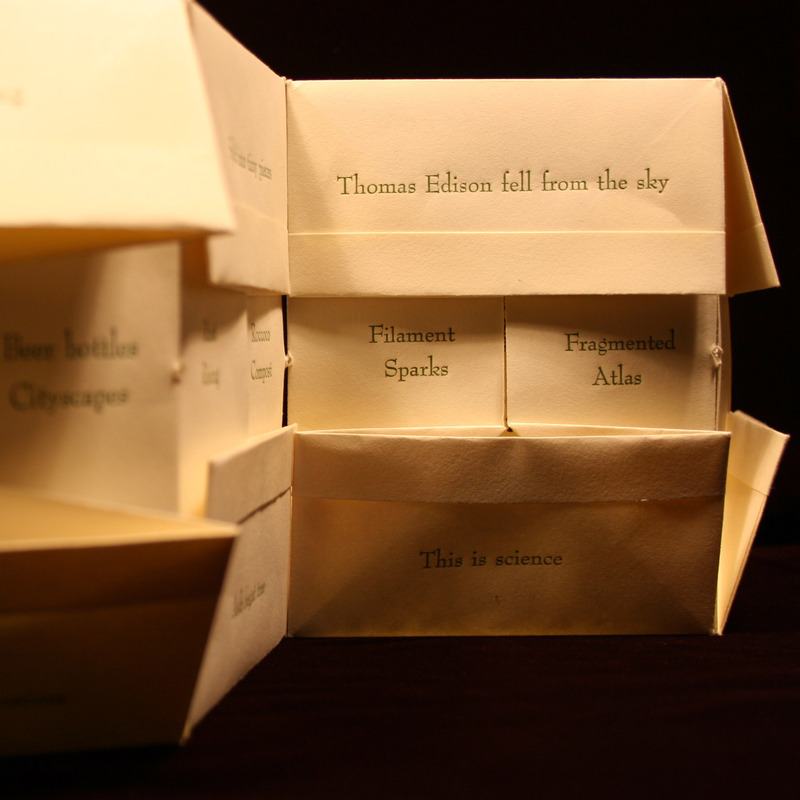 Artists' books are often printed in limited number by hand and may incorporate letterpress, screenprinting, lithography, etching and/or other printing methods. 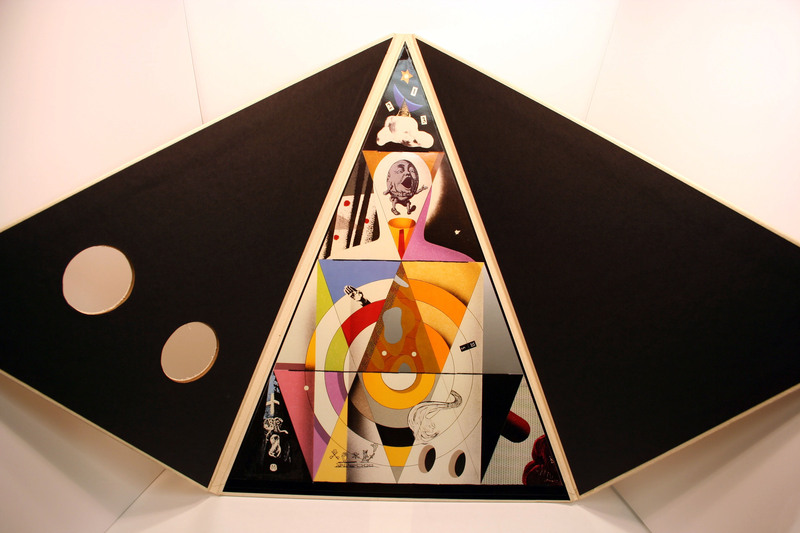 However, there is no hard definition for an artist's book as the genre continues to evolve. Renowned book arts scholar Johanna Drucker's book, The Century of Artists' Books, surveys the meaning and role of the artists' book since its inception in the 20th century. You can read the first chapter of her book here. 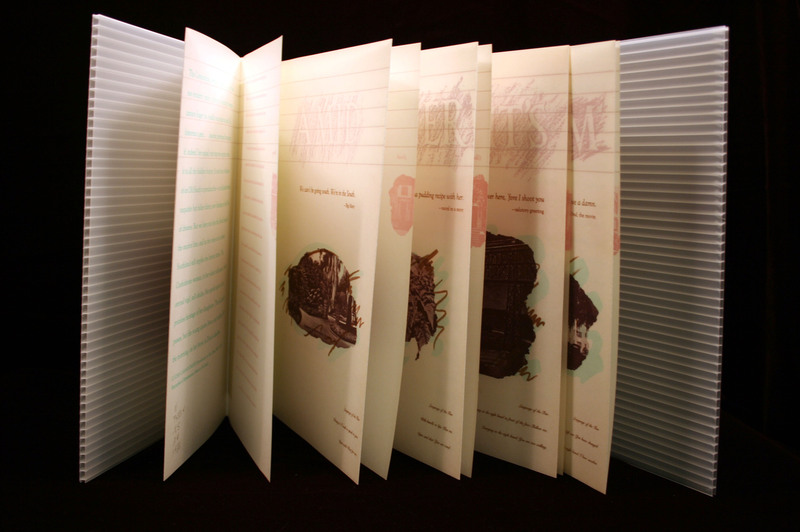 Fine Press publications often exhibit craft techniques similar to those implemented within artists' books and are usually produced by small, independent book printers. Many of the fine press books in Special Collections at Loyola are literary in nature and were bound to house a specific text, often poetry, distinguishing them from artist's books in which the book's form is integral to its function as work of art. 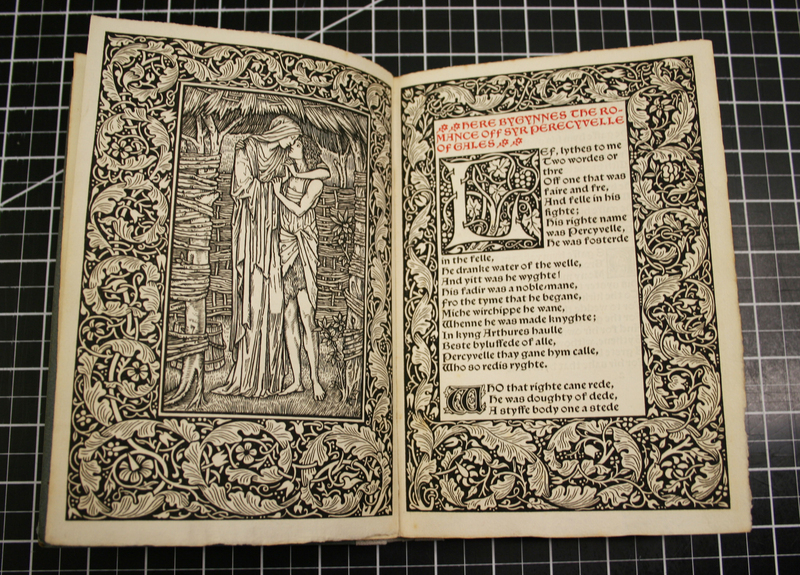 One notable small press, William Morris' Kelmscott Press, honored hand-craft traditions in bookmaking and was established during the Arts and Crafts movement in the late 19th century. You can view our original copy of Kelmscott Press' Syr Perecyville of Gales (pictured below) in the reading room of SC&A along with many other fine press titles in our collection. In addition to its Rosalee McReynolds collection, Special Collections & Archives also holds small press works within its stacks and the Giroux Collection. To arrange a viewing of books in any of these collections, please email archives@loyno.edu. Rosalee McReynolds started at Loyola as a serials librarian. In 1998, she began to oversee the Special Collections section. She also was a founding member of the Women's Studies Committee, a founding member and past president of the Louisiana Chapter of the Association of College and Research Libraries, and a winner of the Justin Winsor Prize for Excellence. At the time of her death, she was working on a book about Philip and Mary Jane Keeney, librarians in the Library of Congress who lost their positions due to unpopular political views.